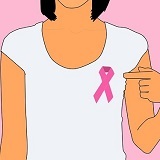 Do not die from breast cancer. Animal foods tend to contain high levels of cholesterol, which has been linked to increasing the risk of developing breast cancer. Furthermore, plant foods tend to contain high levels of fiber and other compounds that prevent breast cancer. Specifically, cruciferous vegetables like cauliflower contain sulforaphane, which can suppress tumorous breast cancer cells. Melatonin is produced by your body to help you sleep at night. However, it also plays a role in suppressing tumor cells. Heterocyclic amines (HCAs) are produced when muscle meat (i.e., beef, pork, fish, and poultry) is cooked at high temperatures of above 212 degrees Fahrenheit. Yes, it is important to cook meat thoroughly to kill any foodborne pathogens, but cooking meat too thoroughly can cause foodborne carcinogens to form. Limit your alcohol intake, eat mostly plant foods, and maintain a normal body weight. These have been associated with a 62% lower risk of breast cancer! Even just going for a walk every day can improve your cancer defenses within two weeks. Specifically, walking for one hour a day (or more) can significantly lower your risk of developing breast cancer. Sleep without any lights on and with the blinds down, as melatonin is produced by your pineal gland when it is dark. Eat more vegetables and less meat, as this has also been proven to increase melatonin production. Roasting, pan frying, grilling, and baking meats can increase your risk of cancer.